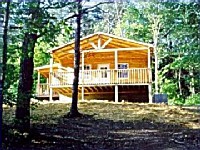 beautiful scenic raised deck and a hot tub to enjoy and Blue Rose Cabins are within 5 miles of Old Man's Cave and Lake Logan. 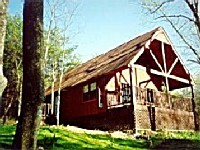 The Rosebud offers a fully equipped private rustic log cabin just for 2 secluded on 25 acres. Relax in the hot tub on the scenic deck or you can relax inside by the stone fireplace. Rosebud is equipped with TV/VCR/DVD, stereo and charcoal grill. 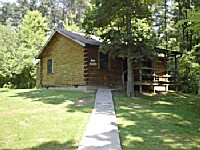 Spacious log cabin secluded on 25 acres near Parks. 2 private bedrooms, a loft with 2 full-size beds, and a pull-out couch in the family room sleep a total of 10. 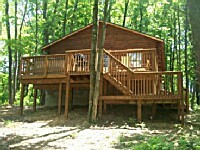 Has a fully equipped kitchen, gas grill, TV/VCR/DVD, stereo/CD, Private Hot Tub. 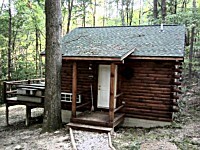 A romantic cozy cabin for 2 in the middle of the woods Hot tub on deck, fully equipped kitchen, electric fireplace, gas grill, TV/DVD/CD player. 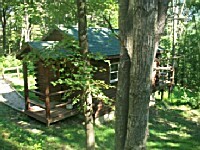 Quaint Couples cabin in the middle of the woods Hot tub on deck, fully equipped kitchen, gas grill, TV/DVD/CD player. 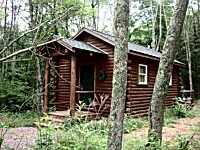 Romantic cabin for 2 in the middle of the woods Hot tub on deck, gas grill, fully-equipped kitchen, TV/DVD/CD player. 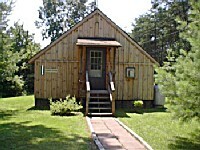 Sleeps six, with two Bedrooms, both private with Queen-size beds and a futon for two in the living room. Fully Equipped Kitchen, with Full Size AppliancesDVD/CD Player. Sliding glass door leading out to the patio, hot-tub, gas grill fire pit out back. One bed, one bath with an open floor plan with the bathroom seperate. Full size bed with a comfy quilt. CD/DVD player. 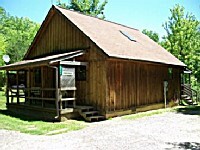 Fully Equipped Kitchen, including Microwave, Stove with Oven, Coffee Maker, Pots and Pans, and Utensils. Gas Grill included. Nice two bedroom unit with DirectTV, Wifi, and a hot tub. 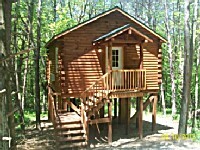 Nice comfortable cabin that sleeps four with one private bedroom downstairs and a loft bedroom upstairs. 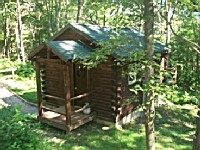 Nice comfortable one bedroom cabin with a hot tub. 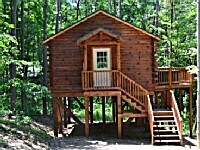 2 bedroom cabin with queen beds. Pullout sofa in the living room. Cabin sleeps up to 6. 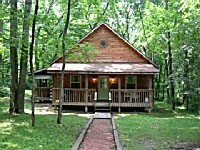 Full kitchen, electric fireplace, hot tub, gas grill, TV no reception, with a DVD player.